LINCOLN, Neb. (CBS/KOLN) A Nebraska woman allegedly tried to slice a tattoo of her name off her boyfriend's neck after she became upset because she thought he "broke her car," according to a police report. 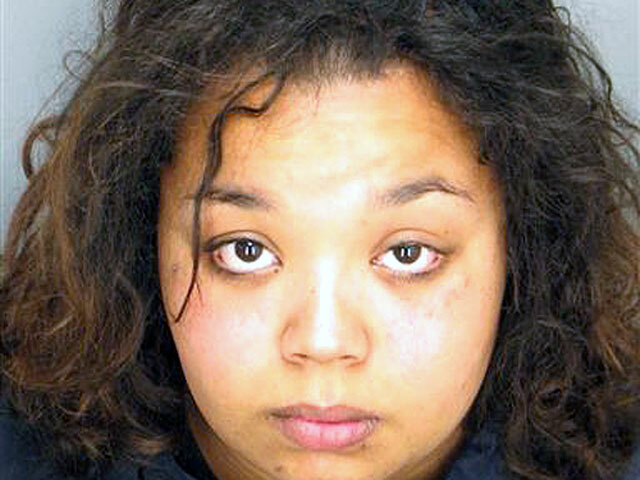 Tressa Amerson, 19, was arrested and jailed for domestic assault Friday evening following an argument with her 30-year-old boyfriend Ronald Miner, said Officer Katie Flood, according to CBS affiliate KOLN. Miner, who has been dating Amerson for about a year, told police that the two were having "ongoing relationship problems for the past week," according to a probable cause affidavit obtained by The Smoking Gun. Amerson reportedly accused Miner of "breaking her car" and then proceeded to grab a knife in an attempt to cut the tattoo of her name off the left side of Miner's neck, reports KOLN. Capt. Anthony Butler said the boyfriend only suffered minor injuries, mostly scratches. When police questioned Amerson, she denied assaulting Miner claiming she "had been sleeping all day" and "had no idea" what police were talking about, as stated in the affidavit. According to the affidavit, officers found a small paring knife on the floor that they believe to be the knife used in the incident. So is all fair in love and war? Miner had a difficult time clarifying his current relationship status when asked by The Smoking Gun if he considered Amerson his girlfriend, saying, "kinda, sorta, not really," before he reached a conclusion - "she's pretty crazy." Amerson is being held in the Lancaster County Jail.